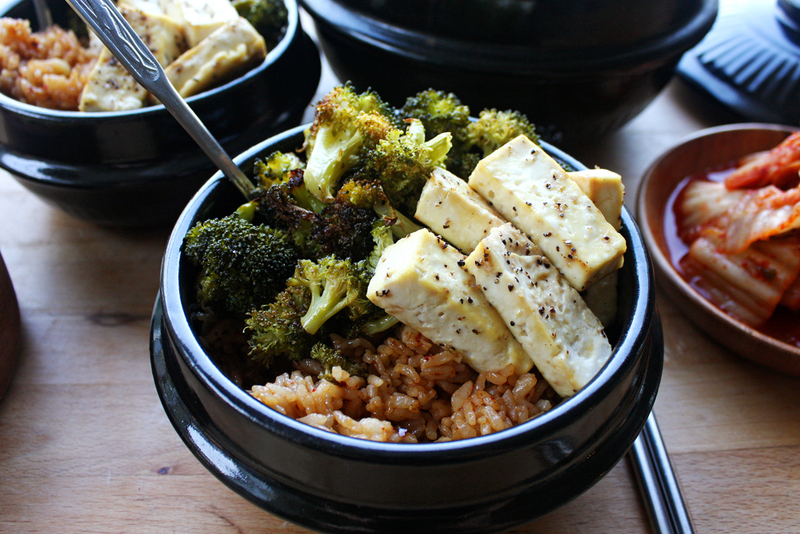 Serve this dish with a side of kimchi. 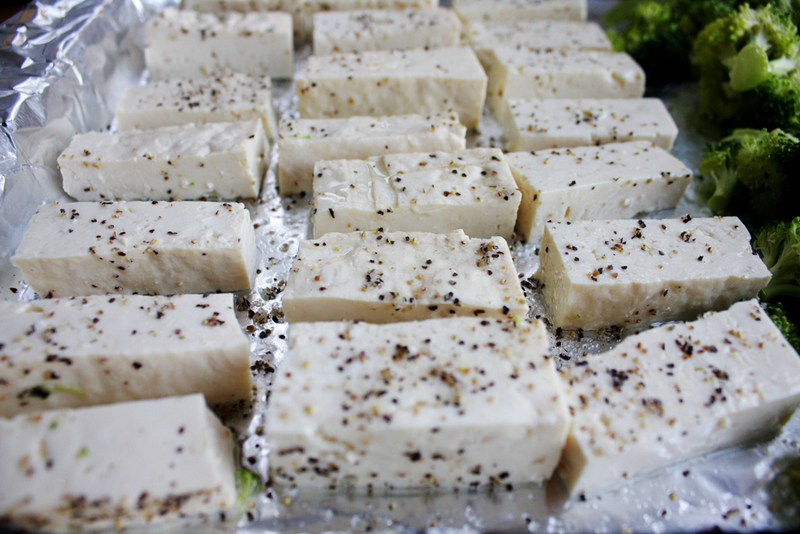 If you are on a vegan diet, make sure to check the ingredients of the kimchi omitting any seafood. 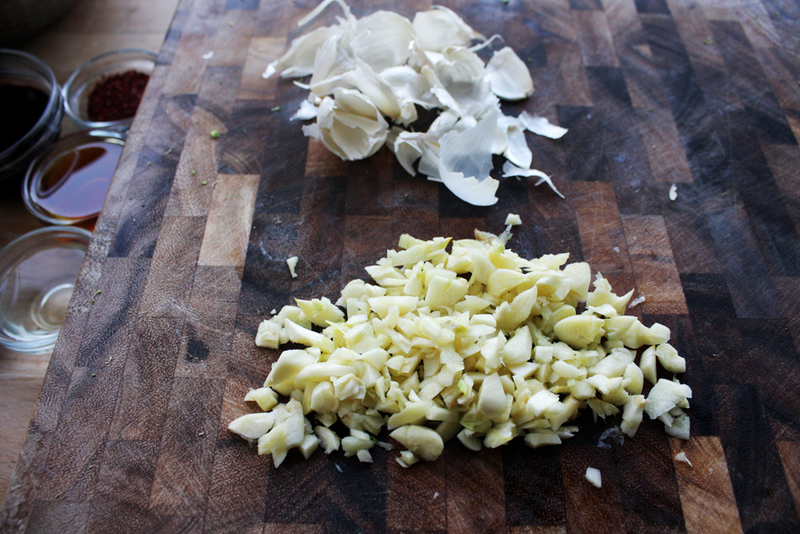 And here's another tip: eat this with true loved ones because with all that yummy garlic, it's about to get real. 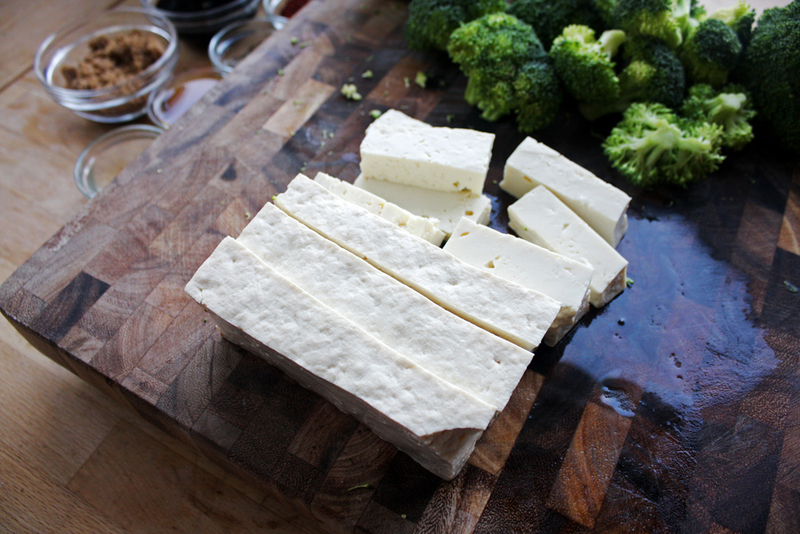 Pat the tofu block dry, then cut into bite sized pieces. Cut the broccoli into even sizes. Put both on a foil lined baking sheet. 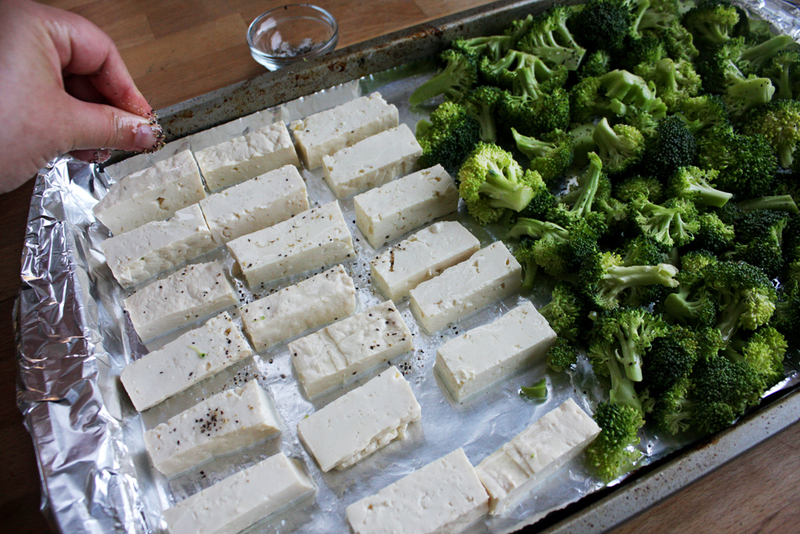 Coat with vegetable oil and sprinkle with salt and pepper. Bake in a 375°F oven for 25 minutes. In a medium-high heat wok or large pan, saute the garlic in vegetable oil for about 3 minutes. 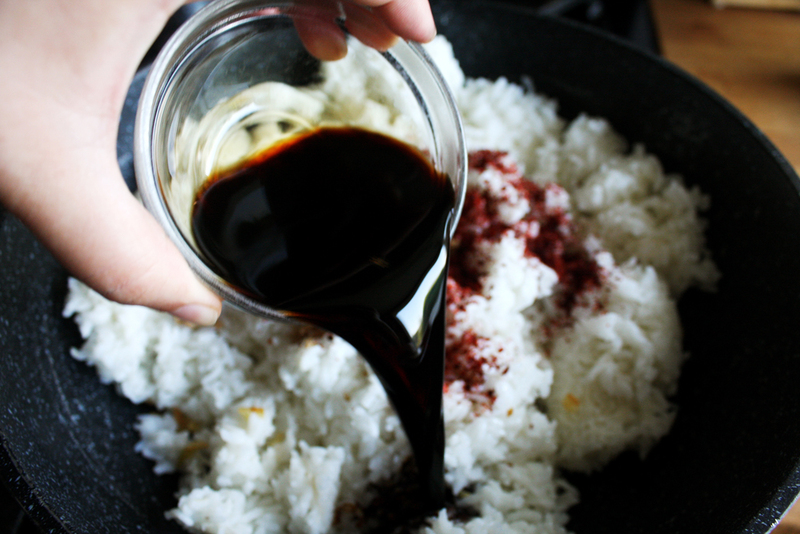 Add in the rice, brown sugar, gochugaru, rice wine vinegar and soy sauce. 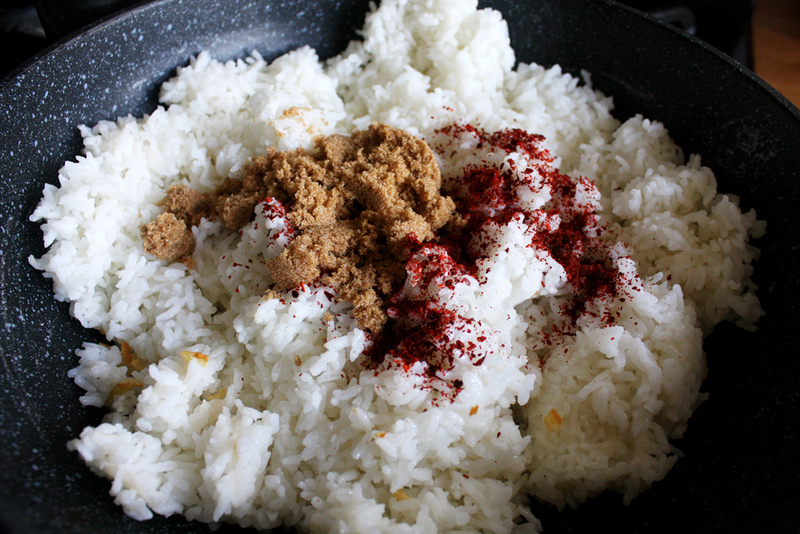 Mix together until evenly incorporated, with no pools of liquid on the bottom of the pan. This should take about 5-8 minutes. 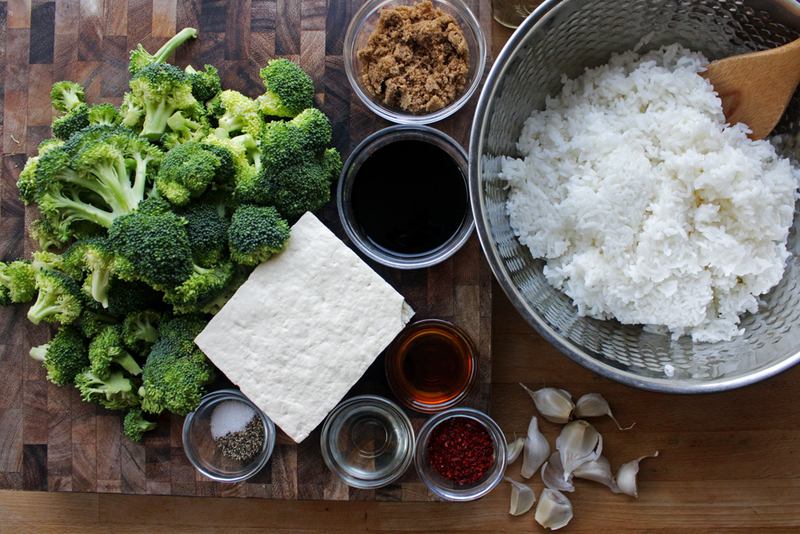 Take the tofu and broccoli out of the oven and let cool for a couple minutes. 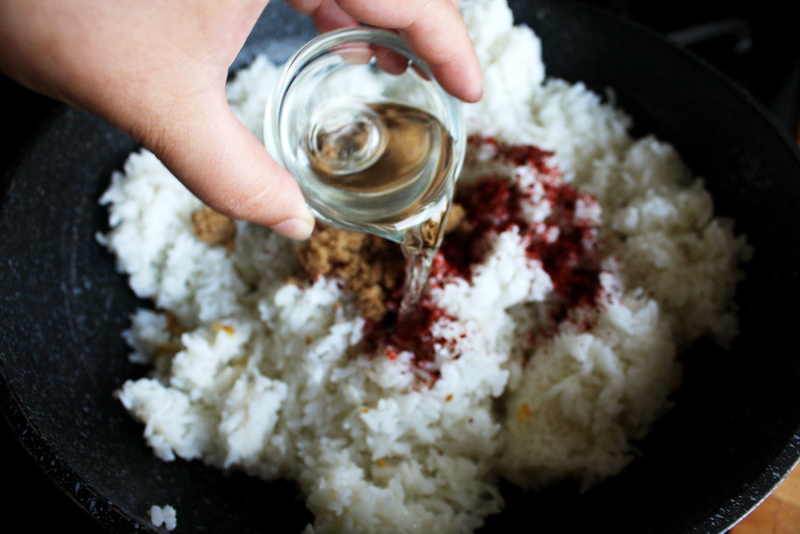 Serve on top of the garlic rice with kimchi on the side. Sometimes I just can't. I've worked a full day retouching images in the dark. The bus was way too packed, which made an odd odor. And I forgot to eat breakfast, so I had an early lunch and now I'm starving for dinner. I think about takeout, or a burger. Or better yet! Order a pizza because I can use the app so I don't actually have to talk to someone. Then my stomach reminds me that I need to put that phone down and march into the kitchen, because she feels queasy every time I go down this road. After a quick argument I agree - she's always right - and look for something quick and easy. That's usually when I use lots of spices, put everything on one tray, and pop the food in the oven so there's the least amount of fuss possible.